there’s a big spider hidden in the hot coil that spools the sugar out into clouds. Easter party! The little yickens were totally transfixed, sugar maniacs in heaven. Colin is so happy and proud of his sweet machine! Adorable, adored. He also found me this cake-shaped porcelain vase in the same dumpster! 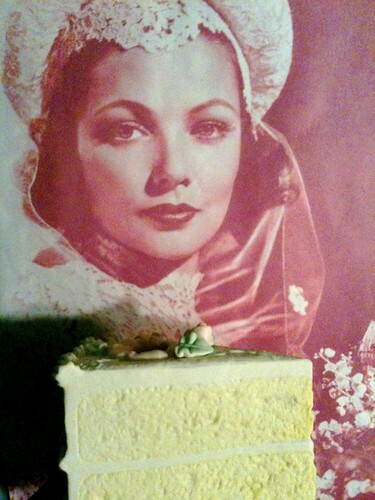 Gene Tierney presents it for our delectation. She lives on my lavatory door. 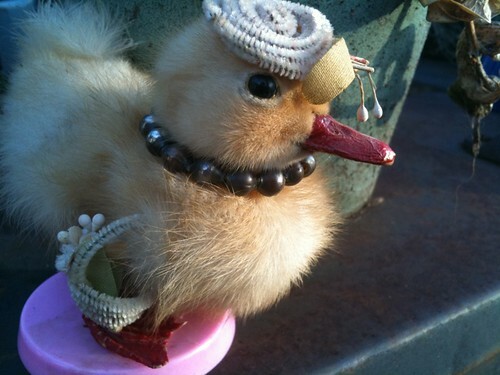 way onto my Easter bonnet – photographic evidence to follow! I love the illustration style from this 1920’s children’s book so much. The graceful branches, the owls and lanterns! The pastel cicadas and the full moon. It sends me. 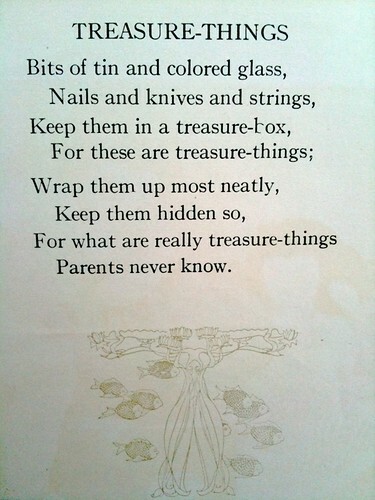 This little poem from the same book is a keeper, too. icon. I still am obsessed with that style of headdress. I need to make more! 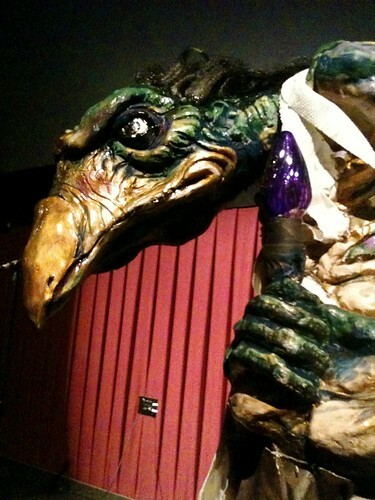 showing of The Dark Crystal at the Alamo Drafthouse recently. 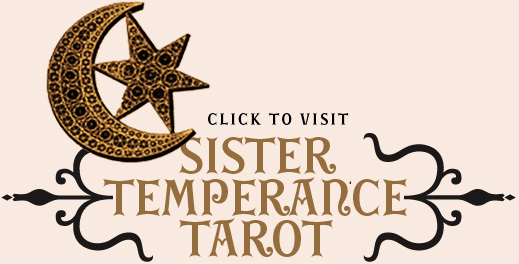 to see it – then I adjure you to remedy that immediately. Okay? i can not imagine why anyone would toss out that cotton candy maker and that cake vase. omg. what a wonderful find for you all! i really love your posts they give me an excuse to just day dream. A Skeksis (sp?) lamp! Oh wonderful horror of horrors! They used to scare the stuffing out of me as a child; as an adult I will confess that they are still pretty terrifying. The children’s book illustration is quite lovely – do you know who the artist is? I wish I’d been there with you to eat salty Finnish licorice bits and candied chestnuts while beaming up at the Dark Crystal on the silver screen! 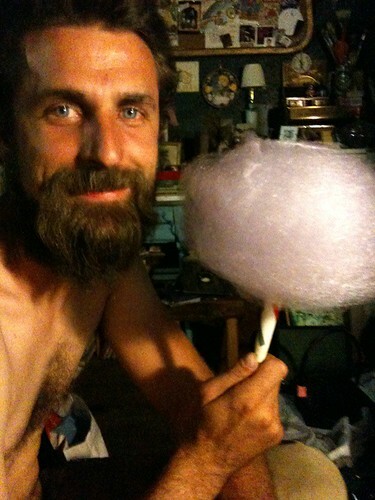 And I most certainly need to find my way to Texas this summer to sample you and Colinator’s magic sugar fluff. Seeing your little dutch spice drawers sent me into a fit of home sickness which I’ve been prone to as of late. Can you believe it, home sick while it’s springtime in NY?! Pray you guard that children’s book on my next visit or it may come up missing. also, i would almost move to austin just to have a chance at catching a free matinee of the dark crystal at the alamo! 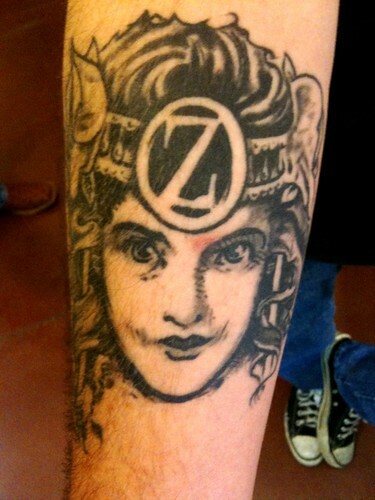 oh jealousy! Oh wonderful wonderful candy clouds! 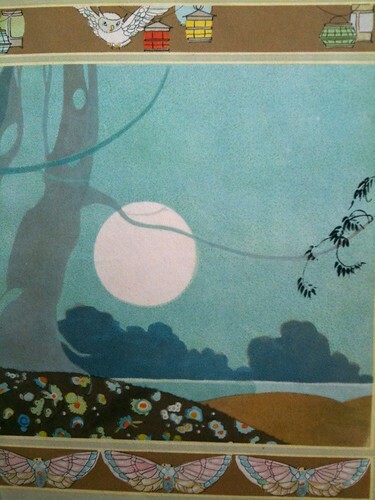 The 1920s book so beautiful – I love images of when the 1920s drew inspiration from Japanese art. I’m 21 years old, and believe it or not, JUST saw the Dark Crystal last week. We liked it – although I have to say, I’m more jealous of the cotton candy maker than of the movie viewing! 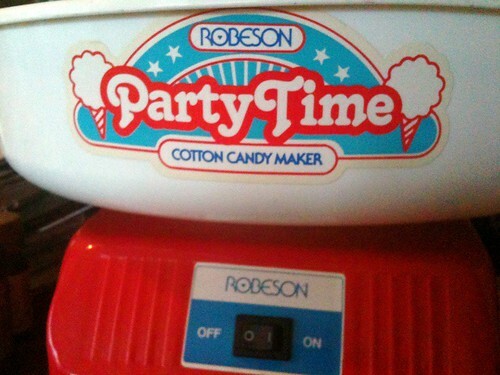 *Ooooh* – I love the cotton candy maker. What an amazing find! My brother and I had one when we were *wee-kiddies* and it was so much fun. You make me want to buy one immediately. Haha. Yay! I’m so simple. I could not take my eyes off of the pretty pink cotton candy puff growing before my eyes in the video. I love a great curbside, or dumpster find.